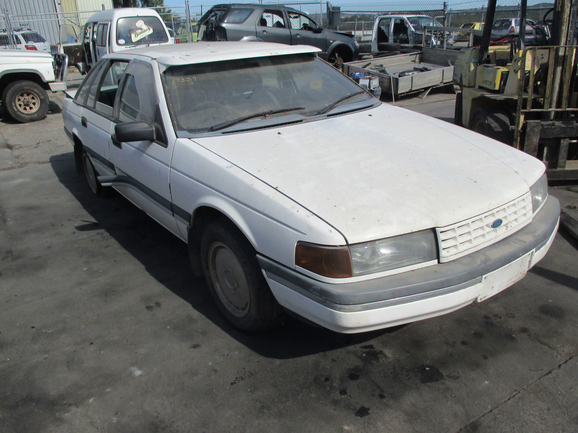 To help you, our predominantly North American community, understand the Australian 1988-95 Ford Fairlane and LTD, let me describe it to you in North American Ford terms. Imagine a car that’s styled and sized like an ’88 Lincoln Continental, positioned above the equivalent to the Ford Taurus but with an interior like it, and with the rear-wheel-drive layout of a Lincoln Town Car. Add to that a Continental-sized engine and, later, an optional Ford Mustang V8 and top that off with two familiar yet defunct Ford nameplates. Voila! 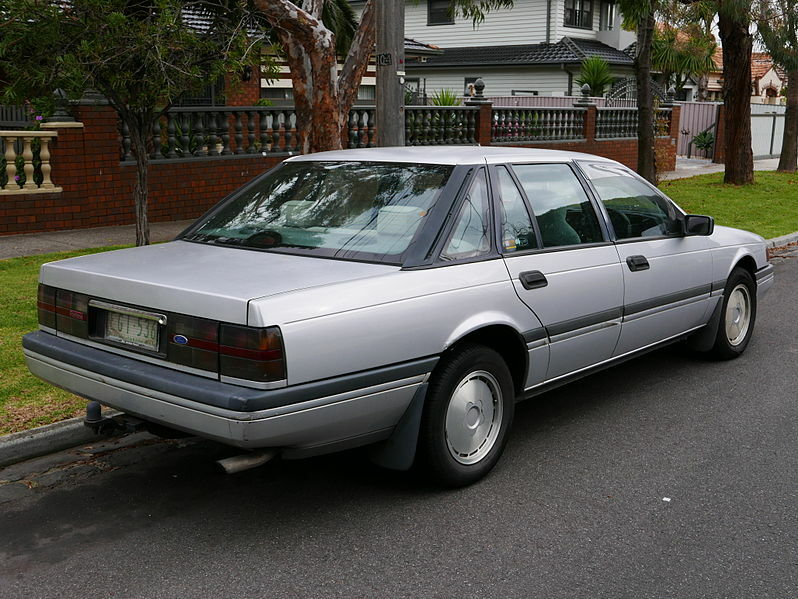 You have the 1988-95 Ford Fairlane and LTD.
To those of you in Australia and New Zealand, you’ll know this car as the long-wheelbase, luxury version of the Ford Falcon. Once favored by upwardly mobile professionals, the Fairlane and LTD eventually became the car of choice for limousine companies, politicians, and old-fashioned buyers who maybe had something large to tow. The LTD was the rarer and pricier of the two and came with plusher trim and even more chrome trim. Now, North American readers: you probably saw that mention of an ’88 Continental in the first paragraph and thought, “Sheesh, I hope it’s better than that!” Well, yes and no. In terms of refinement and feature content, the Fairlane and LTD fall short. They used the EA Falcon wagon’s platform, albeit with the EA sedan’s coil-spring and Watt’s link rear suspension. There was also plenty of components carried over from the XD-XF series of Falcons, which in turn had carried over plenty from the XA-XC cars and so on. The cars betrayed their humble underpinnings and the result was rather underwhelming for a luxury sedan, automotive journalists criticizing the cars for a creaky structure and floaty handling. The standard three-speed automatic was also one gear short of the Continental’s and, by that point, most luxury sedans. 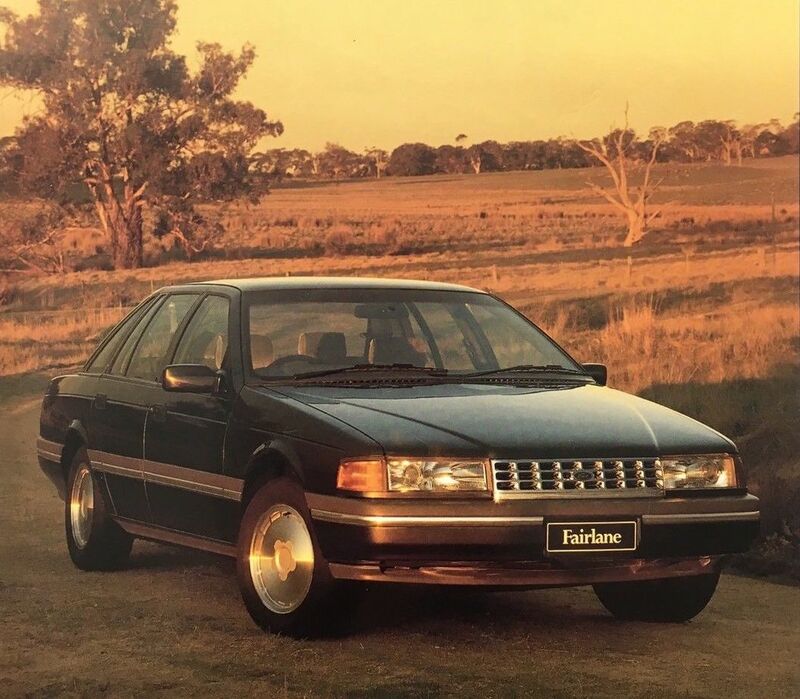 Ford Australia had stopped putting V8 engines in their Falcons, Fairlanes and LTDs in 1984 so the NA Fairlane and DA LTD launched in 1988 with only a six-cylinder engine, much like the ’88 Continental. Fortunately, the multi-point fuel-injected, single overhead cam 3.9 inline six was more reliable and more powerful than the Continental’s Essex 3.8 V6. Producing 186 hp at 4250 rpm and 249 ft-lbs at 3500 rpm, it was up 46 hp and 35 ft-lbs from the Continental. Alas, it wasn’t up anything from the $3k cheaper Fairmont Ghia, the plushest of the regular-wheelbase EA Falcon range. The Fairlane and LTD, measuring 16 inches longer (5 in the wheelbase), also weighed around 200 pounds more (at 3500 pounds) which blunted performance somewhat: 0-60 mph took around 12 seconds. 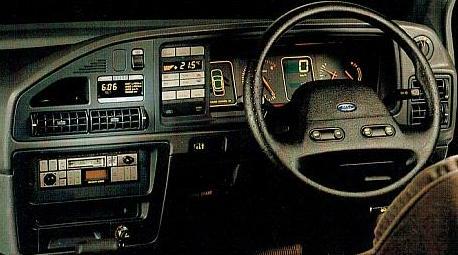 The dashboard also wasn’t any different from the Fairmont Ghia. It was a rather drab affair and, like the rest of the car, lacked the level of quality control found in premium Japanese sedans. Ford had spared no expense in differentiating their luxury twins’ exteriors from the Falcon – only the windshield and front doors were shared – but the development money seemed to run out by the time they got to the interior. At the Fairlane’s price point, the Falcon interior was disappointing. At the LTD’s price point, it was infuriating. The LTD added rear air springs and automatic load-levelling and a separate rear audio system with headphones, along with an ostentatious grille, extra chrome, and velour trim. That hardly seemed worth the whopping $14k price premium, although in fairness that gaping chasm was largely due to the LTD crossing a tax threshold. As with the Fairmont Ghia and, by then, the majority of Aussie sedans, the Fairlane and LTD featured front bucket seats and a console-mounted shifter. The Fairlane may have had a roomy interior but it also was priced right up against the Toyota Cressida and Mazda 929. Both were down on torque compared to the Aussie – well, there’s no replacement for displacement – but they compensated with greater refinement and superior build quality. While the Fairlane had largely avoided the litany of early build and reliability issues of the EA Falcon that spawned it, the Japanese still trounced it in overall quality. Fortunately, Ford Australia worked to remedy the Fairlane and LTD’s problems as well as the Falcon’s; compare that to Ford North America, who increased the power of the Continental’s Essex V6 but didn’t resolve its reliability issues. The Fairlane and LTD luckily had a solid heart in their 3.9 six but the rest of the car needed work. 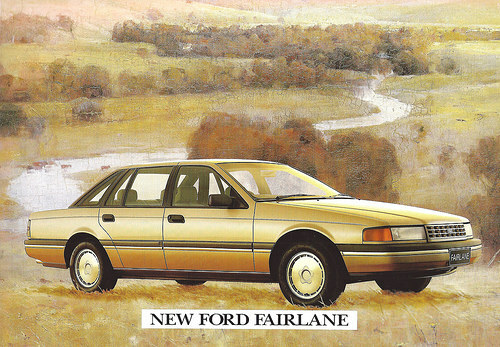 Late 1989 saw the belated arrival of a four-speed automatic in the revised NA II Fairlane and DA II LTD. The following year, however, saw the arrival of a crosstown rival: the resurrected Holden Statesman and Caprice. Ford had had the domestic, full-size luxury segment to itself since Holden’s withdrawal in 1984 but now the party was over. The new Holden duo also came with independent rear suspension and an optional V8 engine, both of which the Fords lacked, as well as slightly sharper dynamics. As a result, 1990 saw Fairlane sales plummet by 31% and LTD sales by 48%. 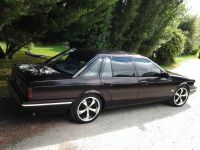 IRS would have to wait until 1999 but Ford, to much celebration, reintroduced a V8 engine to the revised EB Falcon, NC Fairlane and DC LTD ranges in 1991. 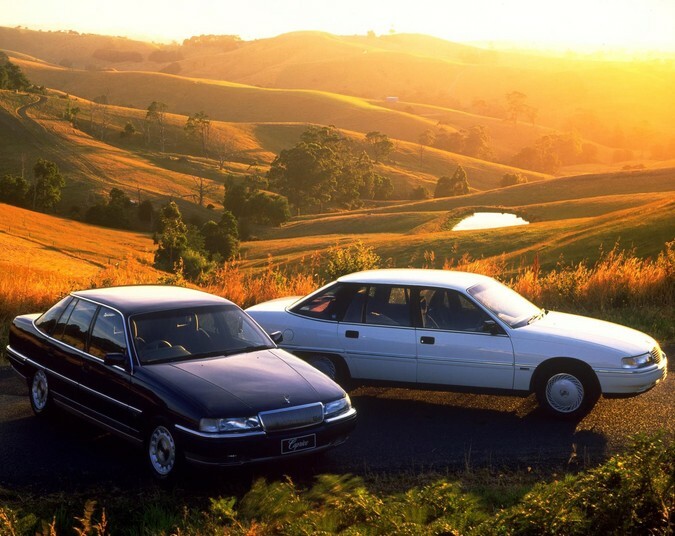 It wasn’t a moment too soon, either, as the Falcon had lost the sales crown to the Holden Commodore in 1989. The V8 was just as crucial for the Fairlane and LTD, considering the higher profit margins of these models. The 4.9 Windsor V8, imported from Canada, produced 221 hp at 4500 rpm and 286 ft-lbs at 3000 rpm. Those were almost identical outputs to the 5.0 V8 in the Statesman and Caprice, although with the benefit of slightly more low-end torque. The NC revision also brought a new base Fairlane with steel wheels and a price that undercut the Fairmont Ghia and its rival, the Holden Calais. Atop the Fairlane sat the Fairlane Ghia, which cost around $2k more and featured plusher cloth trim and V8 availability. There was still a huge, $14k jump to the LTD but at least it now had a standard V8 and limited-slip differential; the I6 was a credit option, while leather (instead of velour) trim was available at no extra cost. Fairlanes and LTDs received another update in 1992 – the NC II and DC II series models – which saw the six’s capacity bumped up to 4.0. The engine was also now smoother and more powerful, producing 198 hp at 4500 rpm and 256 ft-lbs at 3750 rpm. The performance divide between the six and the V8 had narrowed considerably—the 4.0 took just under 9 seconds to reach 60 mph. In comparison, the V8 was only half a second quicker and 2 mpg thirstier. Anti-lock brakes were now standard on both Fairlane and LTD, the body was strengthened and the glass was thicker. Although they were scarcely changed visually, the Fairlane and LTD were now palpably more quiet, refined and responsive. Alas, Holden had settled into the segment for the long haul and they weren’t going to rest on their laurels, either. For 1994, the Statesman and Caprice received a huge exterior overhaul. Gone was the bland, Commodore-esque styling of the VQ models, in its place a polarizing yet prestigious pastiche of American styling cues. It appealed to buyers in the segment, however, who wanted their longer and plusher Falcodores to not look like longer and plusher Falcodores. Just like in 1990, Ford was on the back foot, made worse by the fact the new Holdens undercut the Fords by $1500 and had a standard airbag. By 1995, the Fairlane and LTD were looking rather old-hat. Although the gremlins of the NA/DA series had been vanquished, the cars looked much as they had in 1988, both inside and out. Funnily enough, in that respect they were much like the Lincoln Continental. 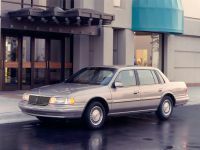 For 1995, both the Lincoln and the Ford twins were heavily revised inside and out, although they both retained the same platforms. There were a lot of similarities between the NA/DA through NC II/DC II Fairlanes and LTDs and the Lincoln Continental but the differences were even more marked. Where the Lincoln was fragile, the Fords were stout. While the Lincoln had thoroughly modern features like keyless entry, memory seats and adaptive suspension, the Fords only had the standard power accessories and didn’t even have fully power-adjustable front seats. No, while the Continental and the Fords are the same length, have similar styling and were launched rather half-baked, they’re very different cars. 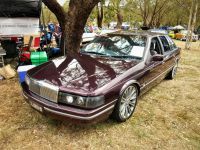 But, if you can imagine a hybrid of a Town Car and a Continental with a Mustang V8 and a Taurus-grade interior, you’re pretty close to the Fairlane and LTD.
DC LTD photographed in Bracken Ridge, QLD, Australia in December 2014. Other curbside photos courtesy of OSX from Wikimedia Commons. What Lincoln Continental do aussies think these look like ? 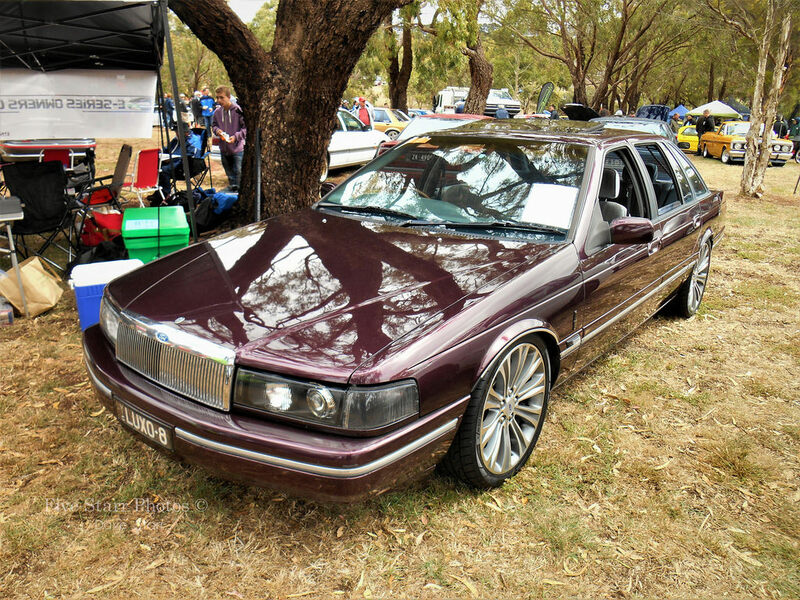 – these look way more british ford really- and the holdens look like an ugly oldsmobile….. 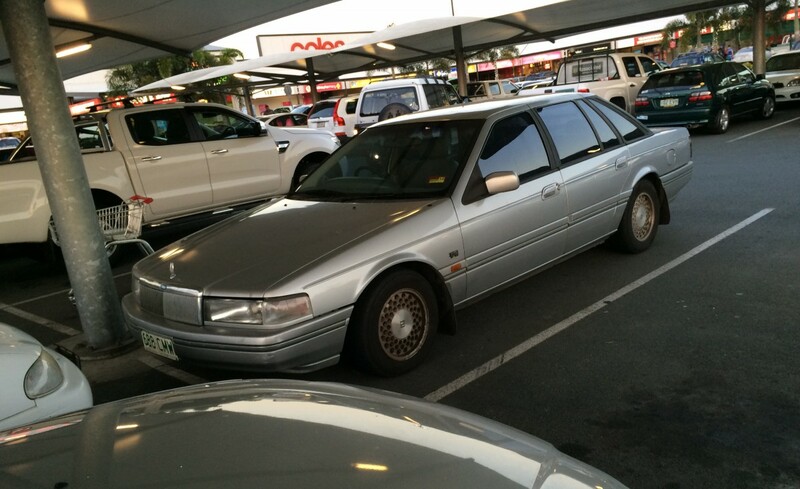 The Holden Caprice looks like it could be a rebadged Saturn. It is not identical, but there are definitely some shared styling themes here. The length/width/height dimensions are very similar too, although the wheelbase is very different – the Fairlane is 115″. In the mid to late 80s, there was a comparison at Dearborn between this Fairlane and the Ford Crown Vic. Obviously they kept developing the 1992 Crown Vic, but there was definitely a lost opportunity in not consolidating the two IMO. Thanks for effectively filling in the gaps I’ve always had in trying to fully make sense of the positioning of these cars Will! The styling cues of both the Fairlane and LTD, and the Caprice and Commodore blend an interesting amount of modern and traditional cues. That rear shot of the Caprice had a lot of Cutlass Supreme in it. I enjoyed this article. It was very informative. It was sad these cars came up so short in the luxury department. 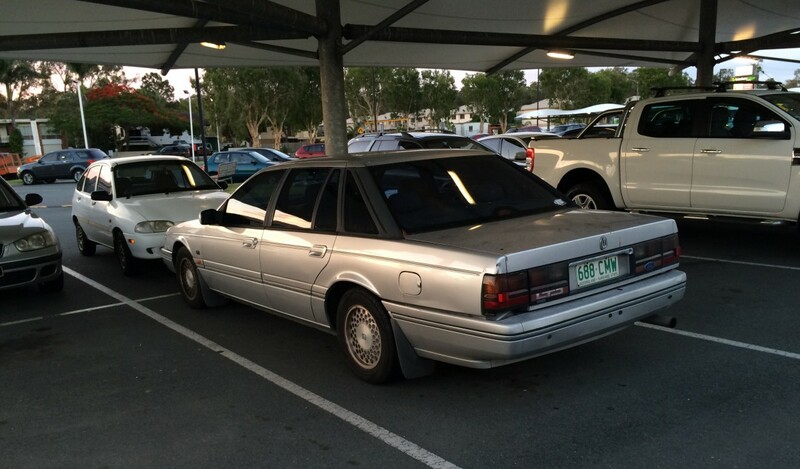 The Holden Caprice and Statesman did looked like Oldsmobile 98 and Cutlass Supremes and Eighty Eights of the 1990’s. You can clearly see it in the rear, the side, the skirted wheels and more. They looked like Oldsmobiles before that too in the past. I read somewhere the Oldsmobiles did influence the look of Holden. I know the early Monaros of the 1960’s were inspired by 1966 Oldsmobile Toronado. 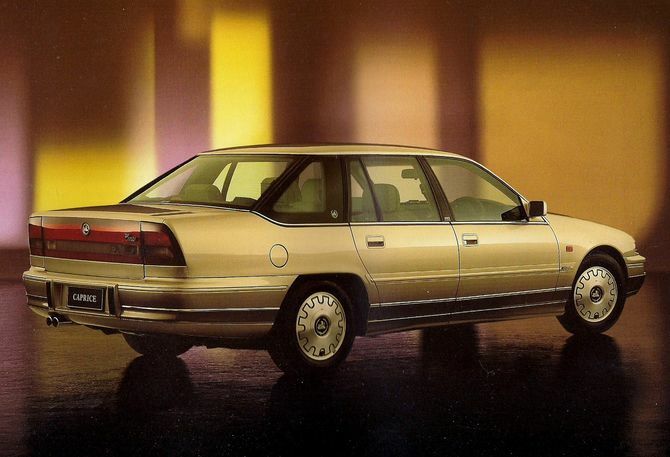 The last Holden Caprice looked more like a Buick and Chevrolet Impala. Well, the last one did have a Buick Park Avenue variant in China. The LTD and Fairlane ( the later ones/ 1996 forward) did look a lot like our Lincoln Continental of the late 1980’s and early 1990’s. You clearly see a Continental / Town Car type styling. I read somewhere they said LTD in Australia stood for Lincoln Type Design. ( LTD) . I think this was a great article and could spawn one about Holden and another one about LTD and Fairlane with photos. You also would need to post the American cars they look like with the photos. 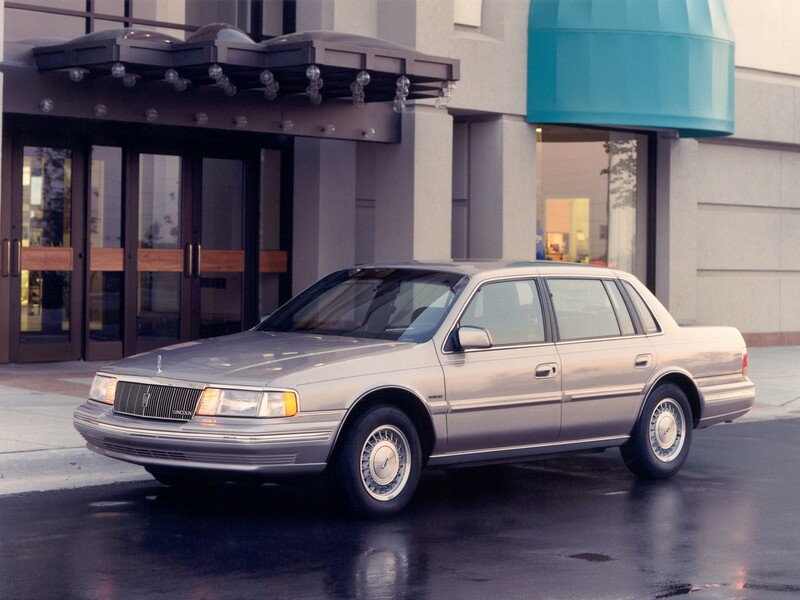 The Continental you refer to is the 1988-1994 model. 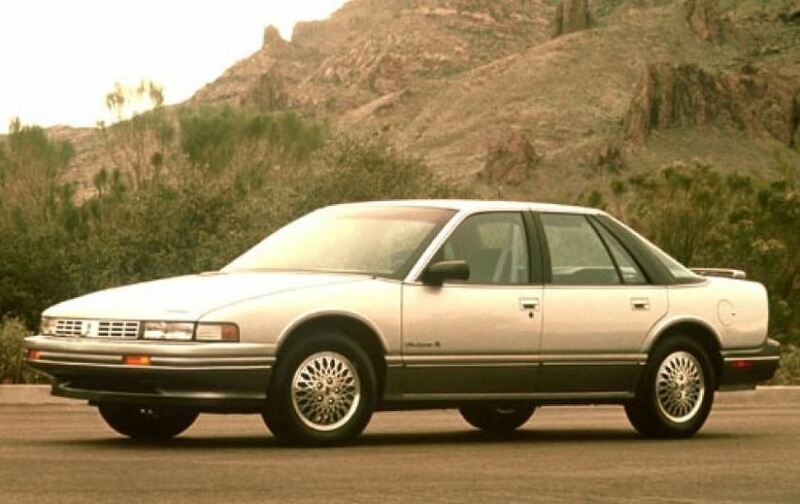 The Oldsmobiles that look like Holdens are: 1991-1996 Oldsmobile 98( the skirted wheels and overall styling), 1992-1999 Oldsmobile Eighty Eight( the rear and tail lamps), 1990-1997 Oldsmobile Cutlass Supreme sedan( the rear doors, the window and tail lamps). Thank you. Even though my current daily driver is a Crown Victoria, I am not a big fan of large cars. Yet, I love these cars. That said, these pictures make the Fairlane look even longer than a Continental. The front and even a bit of the sides on the Ford look like a 90’s Cadillac seville. A great dive into two cars that had been somewhat enigmatic for me. Having explored Australian cars a couple of times in the past, it is a fascinating look into the needs of a different market. Will from what you’ve said here the LTD / Fairlane is somewhat evocative of the Panther cars in the US. A stout platform and drivetrain but an overall package compromised by bits from way back along with creature comforts that aren’t entirely cutting edge or even contemporary. A trip south is called for. Jason, they were somewhat enigmatic in their era in Australia too. Since 1967 Fairlane had been a roomier, more luxurious Falcon with its own styling tweaks. Think of it as an Australian Mercury. The LTD initially came out as a stretched Fairlane, then changed to being based off the same body, just with fancier trim. Think of it as an Australian Lincoln. They had a definite place in sixties and seventies Australia. An Australia where interstate car travel was the norm for holidays; flying interstate and renting a car was in the future. With the eighties came the cult of the ‘prestige European car’ as aspirational, coupled with the desire for smaller, more economical cars. European cars had been mainstream here, but as Renault, Volvo and VW closed down manufacturing here and became full imports, their supply was limited by government import quotas. Limited in the number they could import but wanting to make a profit, they tried to go upmarket and impinged on the Fairlane’s market position. This decade saw the change of the Japanese luxury car from a smallish, fully appointed car with wobbly legs (Toyota Crown) to something which would stand comparison with anything from anywhere. Suddenly the Fairlane and LTD were under attack, and not just from Holden. The ‘Commodore’ Statesman may have looked like an Oldsmobile (or Saturn), but it arguably did a better job than the Fairlane – it might not have looked as distinctive, but it did have a V8. This dealt the big Fords a death blow; even when they got their V8 back sales didn’t recover. An awkward new body based on the unloved AU Falcon (and an attractive new Statesman) sealed the Fairlane’s fate. The market was no longer big enough for two contenders in this segment, so the Fairlane died. Fairlane sales were pretty steady through to 2000, when sales were going to improved Audi/BMW/M-B bottom-end cars or SUV’s in my view. Mind you they were much lower than the the 70s or 80s (say 30-40% down) so it is questionable how viable they really were. 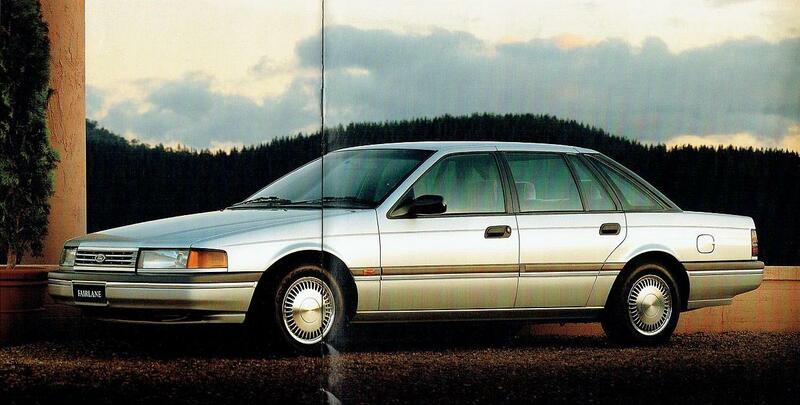 One of the car magazines had a line about the 1999 AU Fairlane was “we’re going to need a bigger hat”, which referred to a previous opinion of the 1998 AU Falcon as “ugly as a hatfull of a-holes”. Replacing that with was a car that looked to similar to the Falcon it was based on, which also hurt sales. I first saw pictures of these Australian Fords in a Cars International catalog that I bought in 1989. At the time, I thought that the Fairlane and LTD had really handsome lines – better looking than anything Ford made in the US at that time. The one clumsy detail was the gap between the rear door and the rear wheel opening – it was obvious that the rear doors came from a shorter car. I knew nothing of the shortcomings and I can now understand why the styling quickly dated. I keep looking at those pictures and cannot decide if I like the looks of these or not. It is a shame Ford could not step up its game on features and interiors, because this sounds like the one place where the later models of these dropped the ball. To my (American) eyes, the Fairlane looks more like a period Cadillac Seville and the Holden Commodore looks more period Taurus (or more likely, Sable) in roofline and flanks. Reversed from what the similar American versions sported. 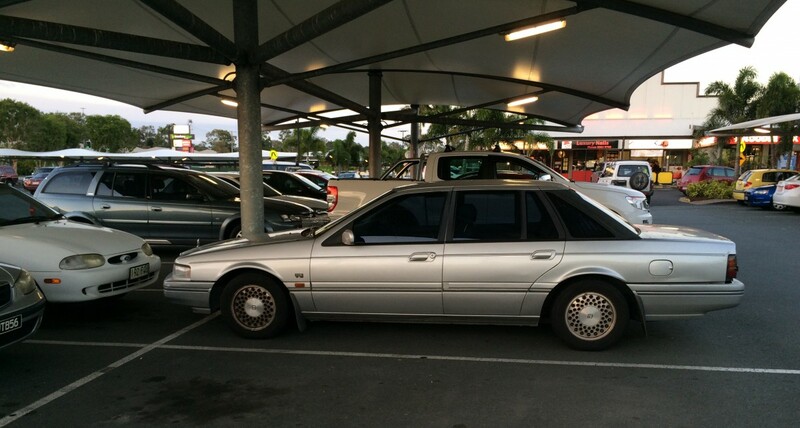 The Holden Caprice looks like it could be sold here as a Saturn. I could never decide if these looked good in a refined, austere sort of way, or just unfinished. For sure that ice-cube tray grille on the Fairlane was no help. It looks like a styling buck prop. Still, they don’t look 17 feet long and 6 feet wide, so there is some elegance there. They’re a big car: the rear seat is almost comically roomy. The long wheelbase gave a good ride, and power was adequate. But the steering had been designed originally for non-power in base Falcon form (which didn’t happen) making geometry not ideal. It had no feel. The front seats of all that gen of Falcons/Fairlanes were very poor. The dash looked quite good in a Falcon S, with large BMW-esque dials, but the half-digital Fairlane effort looked babyish. The horrid old 3-speed auto moaned and complained, the handbrake was a huge plastic nerf-gun handle that came out from under the dash. Compare to an ’88 Cressida, twin-cam six, 4-speed auto, super-quiet, faster, independent suspension, great handling, and built as if cast rather than assembled – for less money. Older farmers, horsey types, older country solicitors and real estate agents, better-off retired folk with a van bought these. As they died out, so did sales. And then creeping regulations essentially demanded a large 4wd whose weight meant even big vans or large horses wouldn’t weigh more than half again the weight of the tow vehicle, and the final valued role as a tow car went too. A very different role to the Continental or Town Car, being largely a rural owner/towing purchase, but probably similar in that the buyers were very conservative, had done ok enough to have a bit of money, and wanted conservatively to advertise that fact. I might have chosen one for a long trip on rough country roads, where they worked best. But ultimately, as a luxury contender, Ford didn’t just stretch the Falcon, they stretched credibility with these pretty crude devices. And come to think of it, it was for sure our politicians who bought the largest orders of them. Worse in NSW towing weight was 75% of the tow vehicle’s gross, I got a very cheap VJ Regal with factory towing pack thanks to it not being legal to tow a double horse float any more,it towed my 15′ Viscount van just fine. That was a couple of years after Joyce bought her Fairlane. It’s great to read this car’s story because it’s something I’m not familiar with at all. In fact, if I had seen photos of this car out of context, I never would have guessed it was a Ford. I’m strangely drawn to these cars with their slab sides and smoothed “aero” corners… kinda like the last of the K-car derivates…. still boxes, but with smoothed over edges. The more I look at them, these look like they would have been right at home as a bridge between the box Panthers and the Aero Panthers. Imagine if these had come out in 1986-ish, spent about 6 years on the market, and then you have the Aero Panthers introduced in 1992. Each generation would have had 6-7 years on the market. Box, 79-85. Mid, 86-91, Aero 92+. Just saw pictures of this one with some modern wheels and slightly lowered. I don’t care for the headlight changes, but damn this looks good. That looks like a home-brewed custom headlight with a newer projector halogen to replace the original and any non-reflector parts blacked out, so a pretty impressive project. Here is another one you might like. Thanks for another informative read, William. I have to say, I was liking these cars’ styling, until I saw the interior. Still preferable to the later model Holdens though. Interesting write up, thanks William. I wanted to like these, but to my eye the styling proportions don’t quite work – the metal aft of the rear doors looks to straight and not full enough, like the boot had been flattened. The EA sedan seemed fuller behind the rear doors and looked very nicely balanced. Not sure about in Australia, but I’m pretty certain that NZ’s LTD also had the sunroof (or as a delete-for-credit option) as standard to differentiate it from the Fairlane. Not a huge amount of either spec left here now, but of those that remain, they do look a tad smarter when lowered and given larger wheels. The Fairlane was launched with a body-colour version of the “egg crate” grille, which was quickly changed because people didn’t like it. So much so that I can’t find a picture online! The Fairlanes had the self-levelling suspension as well as the LTD, the LTD had wood trim inside. I don’t think the 12 sec 0-100 time is right, even with the tall diff ratio (2.77) for the non-overdrive gearbox – I think you would be able to hit 100 km/h in first gear before hitting the rev limiter (although past the redline). Even when they lowered the diff ratio later cars would still do 80-90 km/h in first. The car was supposed to get the BTR four-speed auto from day 1, but its development was running late. Also while the EA/NA was not “all new”, really only the floorpan was carried over, and everything above that and from the firewall forward was new. I’ve driven a few of these including 6-cyl and V8. The 1992-onwards are the pick with all the various improvements. My grandmother replaced hers with a Camry in the early 2000’s, and the Camry used more fuel on the highway. Edit: Scott I agree on the slight change in line for the boot. And Roger’s point about the dashboard – fair comment but I don’t think it was too bad for the time. Ironically the digital speedo was out of style by 1990, but more recently the speed enforcement here in Victoria (2 km/h tolerance) means that they are almost a must-have. Here y’go johnh875, ’89 Fairlane with the bodycolour grille. Didn’t the NA Fairlane SVO have a body-colour grille too? 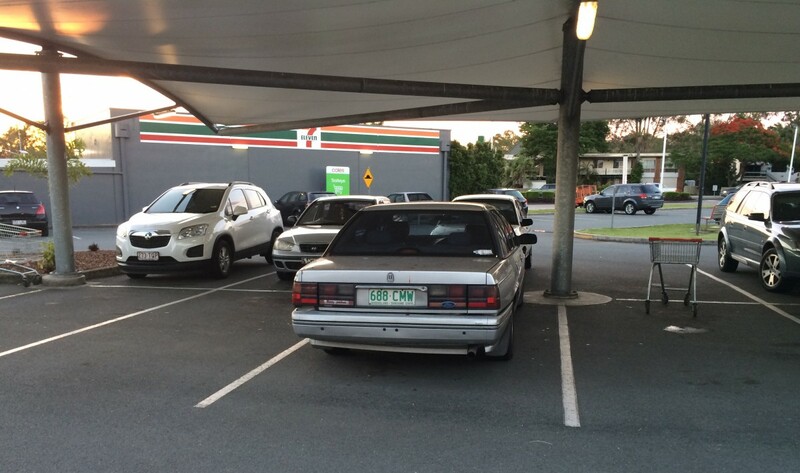 Yes the SVO version did, but that was an aftermarket hot-up job, by Mick Webb in Ringwood, Melbourne, which is a very different intent from the standard everyday production car; it was appropriate there. I’m not sure that more than one Fairlane (a giveaway car for Modern Motor magazine) was built either. Thanks johnh875. 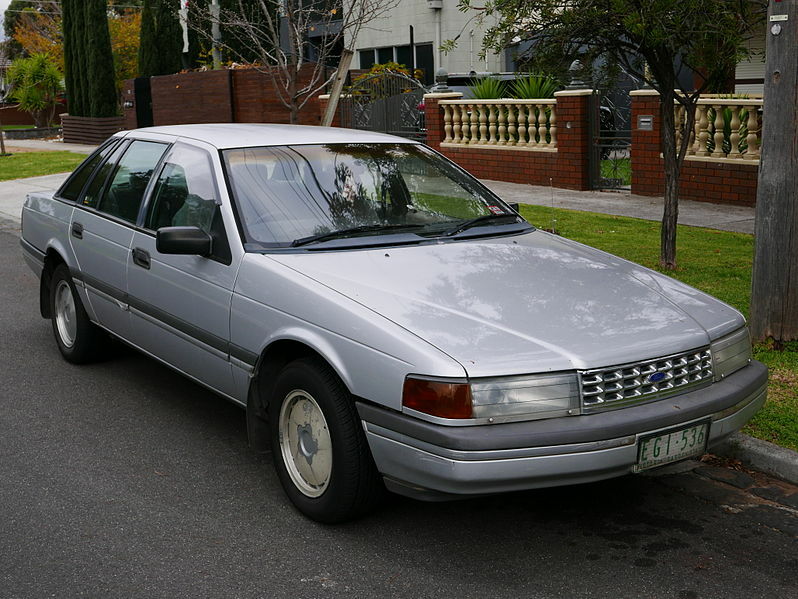 Some more interesting info from Mick Webb’s website: “SVO (Special Vehicle Options) was the creator of more than 1000 performance EA-EB Ford Falcon Sedans, Utes, Fairlanes and Capri sports cars for a number of authorised Ford Dealers around the country”. Pic below showing the range. 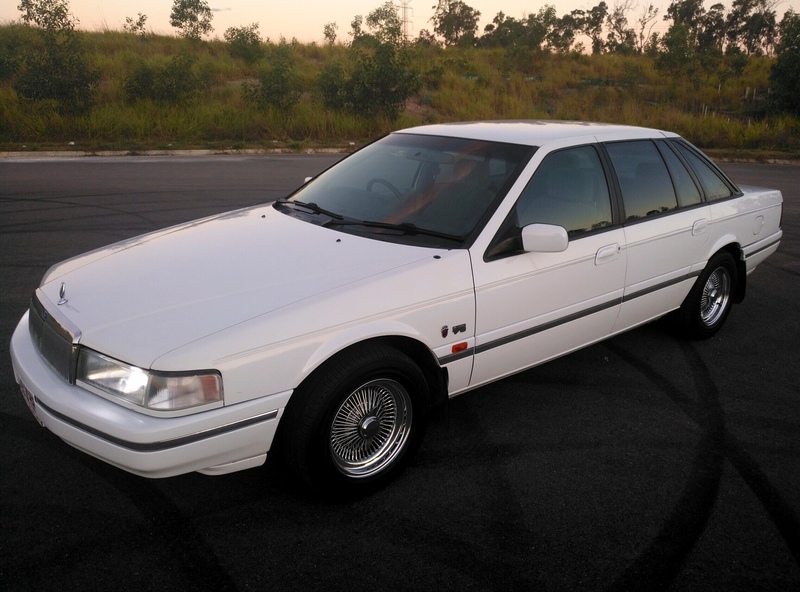 Wikipedia says 600 Falcon sedans, 100 XF utes, 600 Fairlanes and 280 Capris (the FWD version). 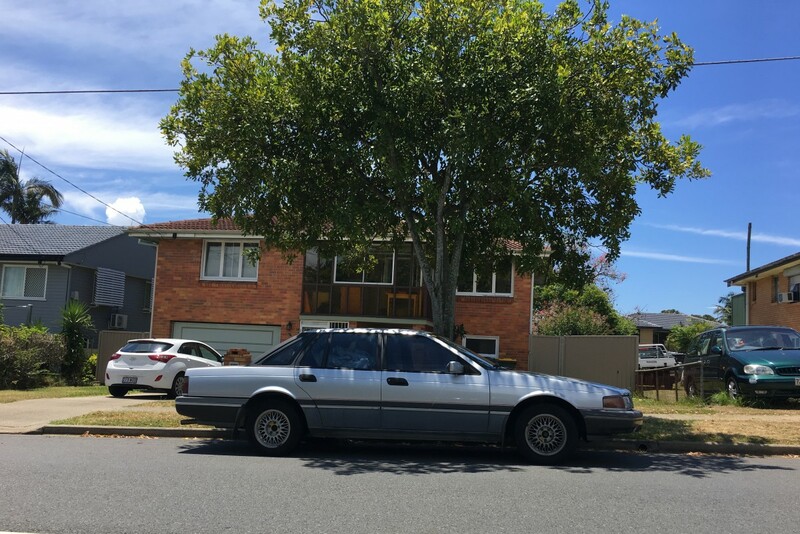 I’ve never seen an SVO ute, and am pretty sure I haven’t seen an EA/EB Falcon SVO sedan either, but a local Ford collector has an NZ-new Fairlane SVO, and I’ve seen another couple Fairlane SVOs on Trade Me in years gone by. All silver with everything below the side rubbing strip painted grey. Ford forums site says the Fairlane SVO had Bilstein shocks, revised steering, SVO-Genie extractors and 2.5 inch SVO exhaust and exhaust, velour interior (owners say different to the Fairmont Ghia), grey SVO wheels, SVO badging on the rev counter and guards, Fairlane SVO badging on the rear and apparently an LTD grille. Google shows plenty with the LTD grille, but the Kiwi ones I’ve seen had the body-colour egg-crate grille, so who knows! Great article William. I’ve loved these Fords ever since I saw one brand new as a 10-year old boy in the 90’s. They looked distinctly American and were completely unlike any other car on the road. Built in comparatively small numbers, too. In white and with the tinted glass, I especially like how Ford blacked out the B and C pillars to give the roof a floating look – something which other manufacturers have only started doing today. Despite the long bonnet, I love the proportions of the car and really think Ford did a great job of differentiating it from the lesser models on which it was based. On the road they’re far from the last word in refinement, but I daily drive the Fairlane pictured below and love how smooth it is. The V8 is not that quick but it is quiet, understressed and just lopes along even on the highway – where the car feels most at home.